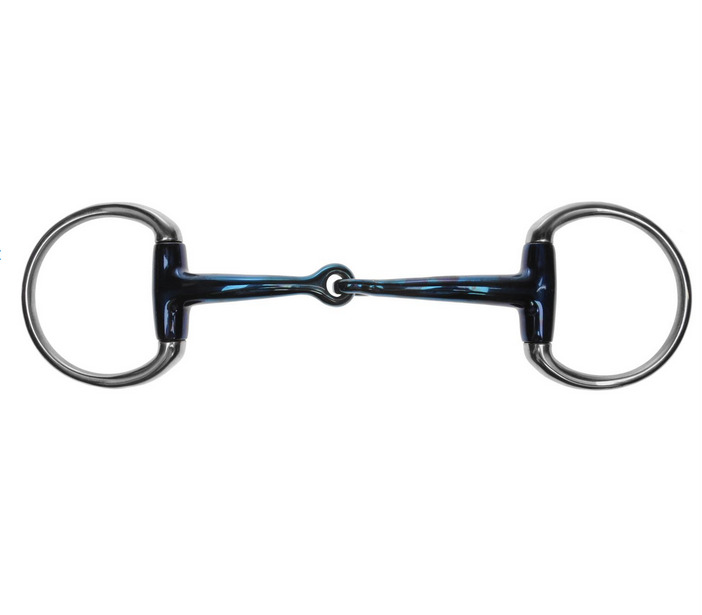 The JP Korsteel Blue Steel Jointed Eggbutt Snaffle Bit has a fine hand-polished blue steel finish that gives off a taste enjoyed by the horse and stimulates salivation. JP Korsteel have a curved shape that eliminates the interference that conventional bits can cause. All JP bits feature curved bars that prevent the bit from hitting the roof of the horse's mouth and eliminate the nutcracker-like action that can pinch a horse's tongue. Developed in conjunction with world-renowned trainer and jockey John Patterson, JP bits provide the utmost comfort for your horse. The unique curved shape of the mouthpiece offers many advantages. There are currently no questions for Korsteel Blue Steel Jointed Eggbutt Snaffle Bit - be the first to ask one!